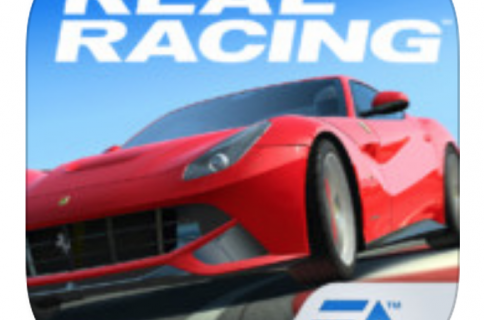 Electronic Arts’ free-to-play Real Racing 3, which debuted on the App Store three months ago, last month received its first major update that has brought out such improvements as cloud saves across devices, an all-new Hunter game mode, the addition of the Chevrolet Cobalt SS and Camaro ZL1 vehicles and over a hundred new events. According to the game’s Facebook page, the update will be available “soon” on the App Store, Google Play and Amazon Appstore for Android. As for me, I’d love to see some weather effects and night racing. Oh, and some real multiplayer would be nice, as opposed to the time-shifted nonsense. By the way, Electronic Arts, many of us also want some brand new Mercedes and Monaco racing! Unlike Dungeon Hunter 4, the otherwise awesome Gameloft freemium title broken beyond repair by constantly asking for cash, Real Racing 3 lets you play events and upgrade your cars without spending a dime. However, those serious about the game will at some point feel the need to buy in-game items and virtual coins in order to upgrade their vehicles substantially and not wait tens of minutes or more for upgrades to complete. The universal Real Racing 3 app can be downloaded free from Apple’s App Store and Google’s Play store for Android devices.